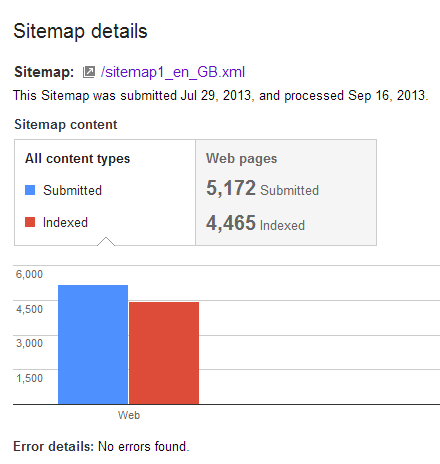 Being from GOOG, it shows us how many URLs are indexed (and aren’t indexed), but not which URLs are in the index. This is useful for diagnosing at a high level, but can be decidedly unhelpful when your house is largely in order. This intentional unhelpfulness is frustrating to me, so I’ve tried a few methods to claw back these details. 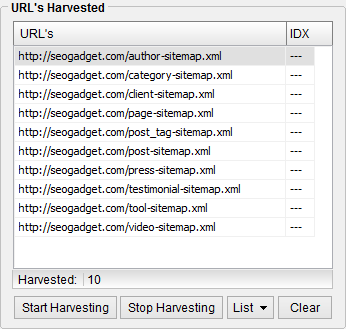 Scrapebox often gets used to check for which URLs linking to your site are indexed. Long story short, instead of running the Check Index function on your tier 2 and 3 links, run it on your sitemap instead. If you’re not sure how to do that, read on. I typically set this number very low with a large set of rotating proxies. This gives the best results for our purposes (if you’re seeing any messages about your proxies being banned, you’re going to hard, too fast). 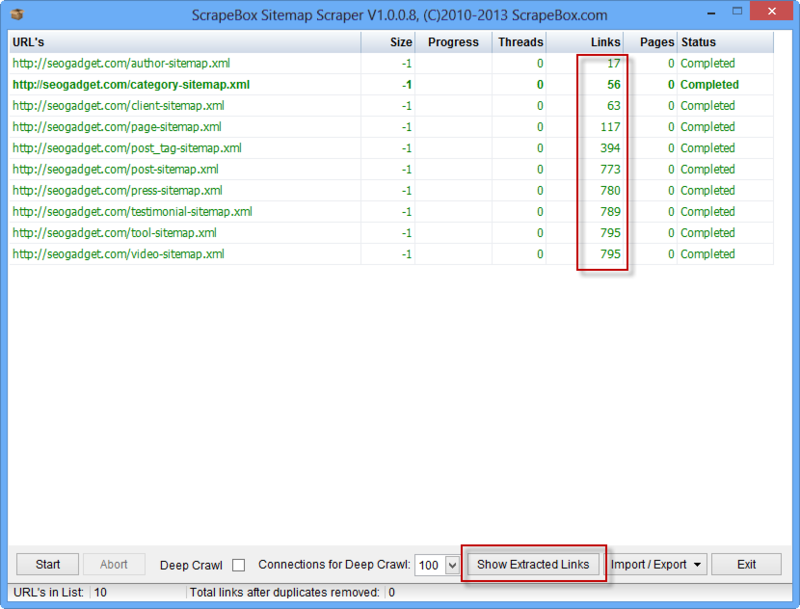 For small sitemaps (sub 500 entries) you can afford to go a little faster, since the proxies won’t be as strained for as long. 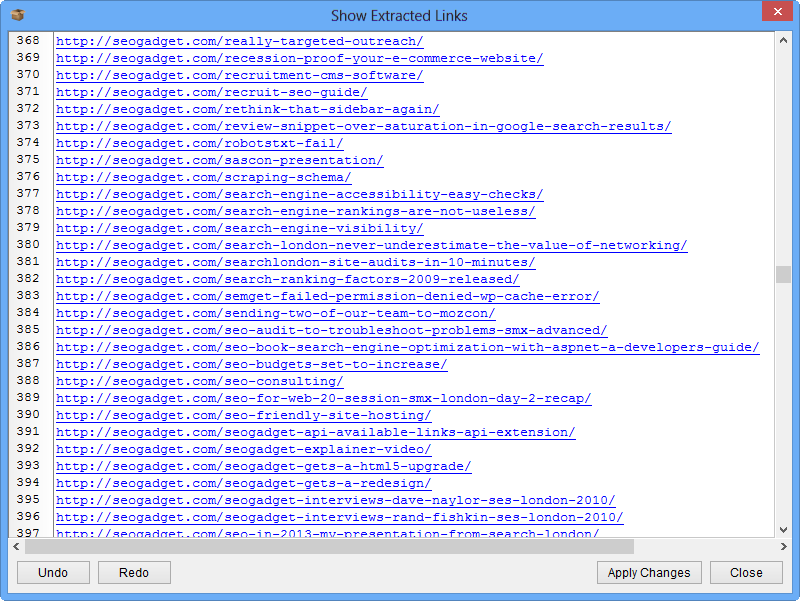 After it has run, click “Show Extracted Links”. 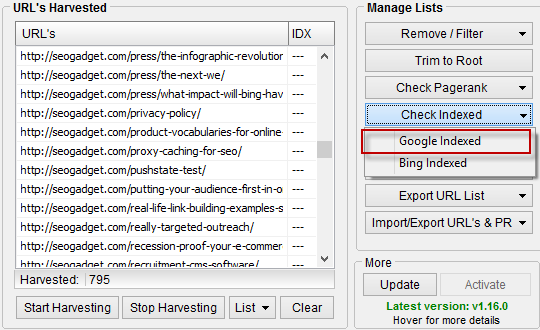 Buy Backlinks – see here for more details (I’m a big believer in “don’t ask don’t get”). 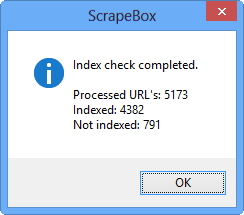 In case you’re interested, Scrapebox uses info:URL to check indexation in Google, and link:URL to check Bing. Scrapebox support are very helpful. Previous Previous post: Is Viagra.com a scam?